Do you ever have those moments where you wake up, and you just can't be bothered? Whether you're drowning in work, avoiding revision, or don't feel like going to the gym, I can assure you, you are definitely NOT alone! 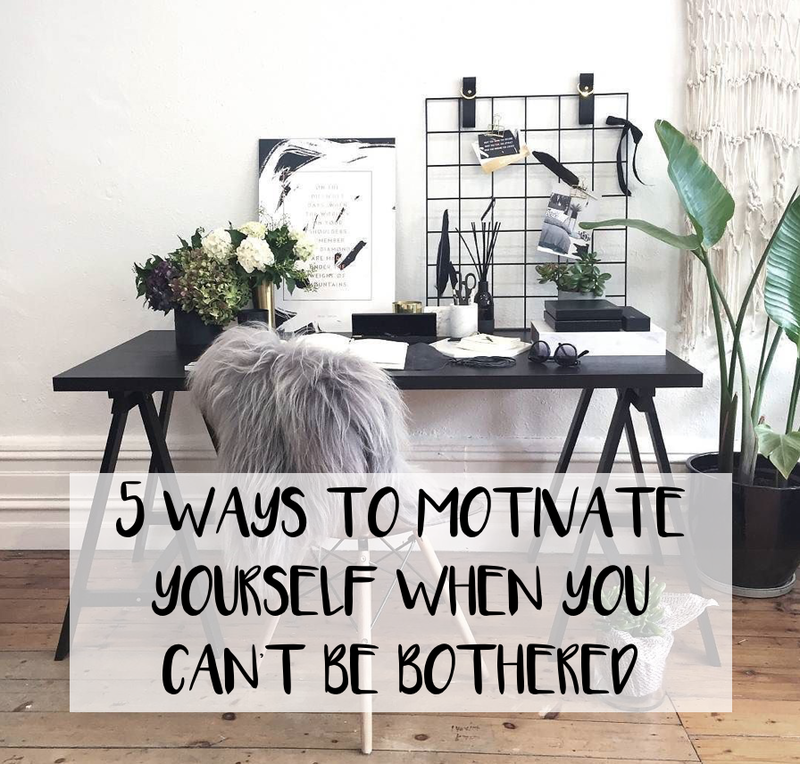 So for all my fellow people out there who occasionally have the productivity vs. bed debate, here are 5 things that help motivate me when I really need it! You can also find the YouTube video I made about this here. One thing that really helps motivate me to get things done, is writing down goals. I don't know about you but when I forget the purpose of what I'm doing, it makes everything feel rather pointless. Goals don't only keep you focused, but they also put what you're doing into perspective. So whenever you feel like you can't be bothered to revise, think about the university you want to get into. Or whenever you don't want to drag yourself to work, think about that promotion you've been working so hard to get. Everything has a purpose, so whenever you feel like you've lost it, bring out your notebook and remind yourself of it! Can you think of a few simple things that make you happy? Good. Now then, think about how you can introduce them into the task you're avoiding right now. Everyone has something that makes them feel good, or makes them look forward to getting on with the day. Adding your favourite thing to a task you're reluctant to do can make something dull that extra bit special. For me, sitting down to do work with a new notebook or a quirky folder instantly makes it a little more enjoyable - I must admit, I'm a sucker for a nice piece of stationary! For you, it may be getting your hands on a new pair of trainers that leave you skipping to the gym. Or taking your favourite packed lunch to work so that you have something to look forward to in your break. Or even watching your favourite film whilst you clean the house. Whatever it is, there are always ways to make any task fun, so get creative with it! Whether we realise it or not, every day we talk to ourselves - usually through our thoughts. I know this sounds strange, but hear me out! When it comes to being motivated, the main reason we avoid doing a task is because of the negative attitude we have towards it. Whenever I feel like avoiding doing something, it's usually because I'm thinking about how boring it is or how tired I am etc. For example, there have been many times I've woken up and planned to go to the gym before getting on with work. As soon as I wake up, my sneaky brain starts thinking about the extra hour I could have in bed. Which then leads to me thinking 'I'd rather do anything than go to the gym right now, why do I even bother signing up?' Then the longer I think about it, guess what happens? I ditch the gym and opt for a few more hours with my duvet. Sound familiar? Rather than thinking negatively about the task you have to do, try thinking about the benefits and the positive outcomes it will have. Putting a positive spin on things will put things into perspective and make tackling the task so much easier. The most amazing thing about music is that there is a tune you can throw on for any situation. Whether you need something to kick you out of bed in the morning, or you want a badass gym playlist to get you through your workout, a great song can make the difference! 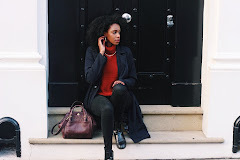 Having a playlist for different occasions has been a huge help for me - ranging from gym workouts, to getting ready in the morning, right through to doing the dishes. Because let's face it, putting on Get Your Freak On by Missy Elliot whilst doing the washing makes everything 100x better! Let's face it, everyone loves a good reward. It doesn't have to be big or extravagant, it can be as simple as having a night in to watch your favourite Netflix series, or going out for a meal. When all else fails, planning something for you to look forward to can be great motivation for getting through a long week. Whatever your situation, remember to reward yourself when you accomplish the things you set out to do. Why? Why not, you earned it!